Our product range includes a wide range of dental alloys. We offer Dental Alloys and Impants are used for removable and non removable dental restorations (crown, bridges, frameworks). It has a very satisfying compatibility with the new and conventional seramic techniques as well. Our products does not contain Beryllium (Be) and Cadmium (Cd). Containing high quality of Crome Nickel alloys the quality of the metal becomes very good with high compatibility together with Porcelain ceramics and the connection. Dental alloys are used for removable and non removable dental restorations (crown, bridges, frameworks). It has a very satisfying compatibility with the new and conventional seramic techniques as well. 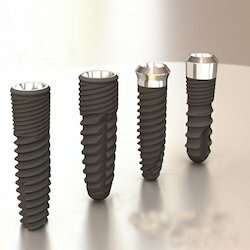 Looking for Dental Alloys and Implants ?